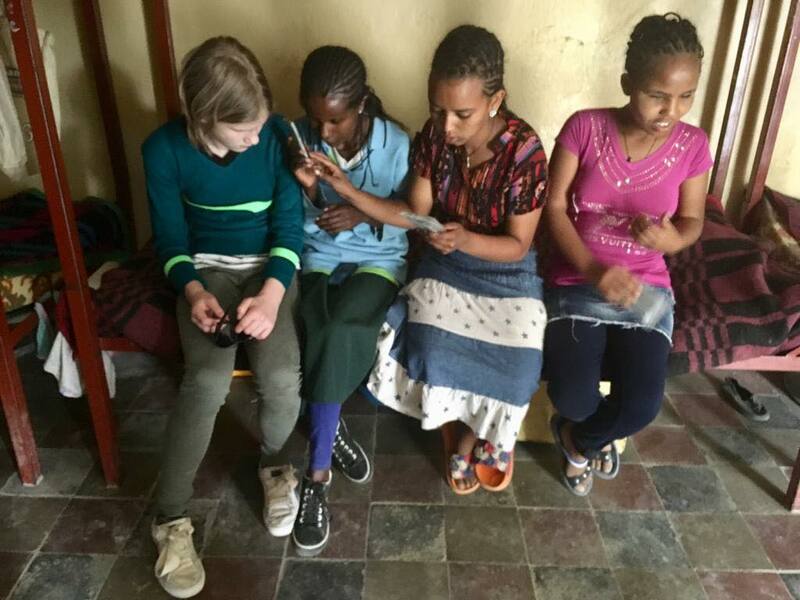 If you haven’t heard, Hester is a local Bath based 11 year old who took on an amazing Ethiopiaid fundraising challenge to help visually impaired children at our partner project SENTigray Mekelle School for the Blind. Having herself, been diagnosed blind as a baby, Hester has embraced every opportunity to live life to the full and has never let her visual impairment hold her back! 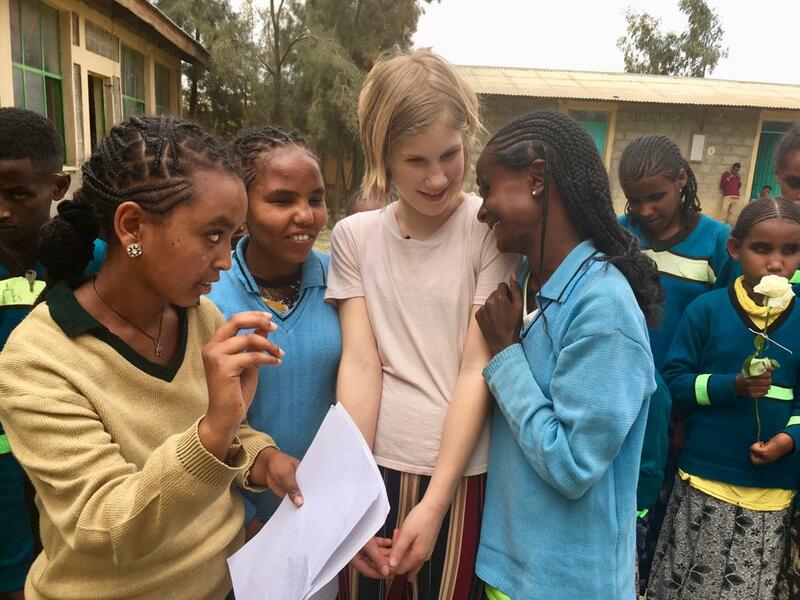 This past week Hester has been in Ethiopia visiting our partners at Mekelle School for the Blind to find out for herself what it is like to be a blind student growing up in Ethiopia. 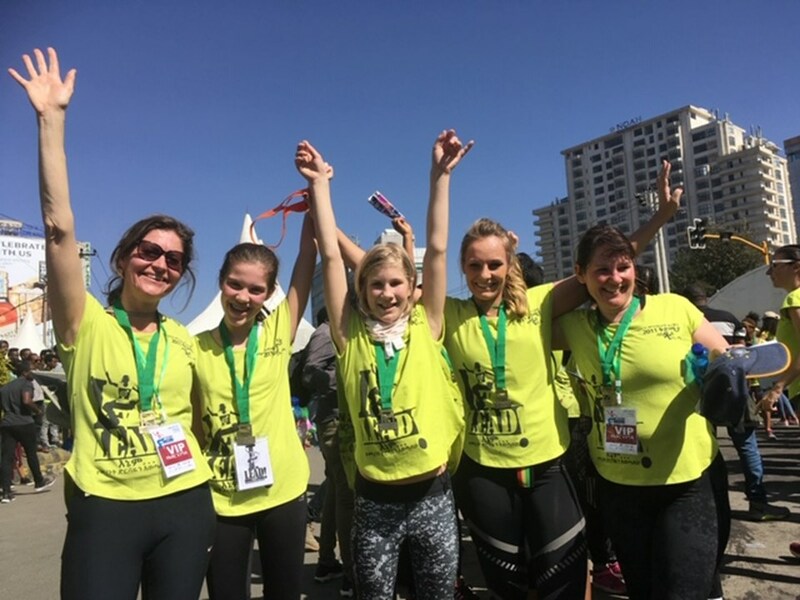 On top of this, on Sunday the 10th of March Hester took part in the Women’s First Run, completing a 5k race through central Addis Ababa alongside 14,000 runners! Hester’s visit to the Mekelle School for the Blind was overwhelming in places. After receiving a wonderful warm welcome Hester enjoyed an afternoon of singing, dancing and chatting with the students. The children were blown away by the story boxes we brought (they were pronounced ‘wonderful’) and we are all excited by the scope that they will have in both teaching and recreational terms. The jingly footballs, dancing bell bracelets, and craft materials were also met with huge enthusiasm and Hester was able to have her hair braided. Hester sang and danced with the children, made many new friends and was able to share and exchange experiences. The whole thing was very moving. In Ethiopia visually impaired students are unable to study maths or science beyond grade 5 and do not take part in sports. Something Hester felt was very unfair as it limits their opportunities and job prospects in the future. While we were there Sarah (Hester’s mum) was able to mend 5 broken braillers so they could be put back in use! Hester also had the privilege of meeting with young female athletes from Run Africa, and shared laughter and experiences over a traditional Ethiopian Coffee Ceremony and some popcorn! Many of the athletes come from rural areas and running is a way out of poverty. Their dream is to represent Ethiopia! The Womens First 5km run in Addis Ababa was the most spectacular festival of hope and promise for the future. 14000 women and girls came together to show their society that they are ready to lead. This run was to mark International Women's Day and has been completed by over 100,000 women and girls, marking the changing social and economic climate for women in Ethiopia. The music and dancing meant that it was like a Glastonbury size Zumba class! We met the legendary long distance runner and Olympic gold medallist Haile Gebrselassie (Hester shared the stage with him in front of the crowds) and the inspiring Yetnerbersh Negussie, a blind lawyer and disability rights activist, who recently won the prestigious Spirit of Helen Keller award. She invited us for dinner at her house after the run to meet her family. An Unforgettable experience. Hester, with her guide Charlotte Evans MBE, smashed the 5km which at altitude and scorching heat which was amazing - and we have far exceeded our fundraising target and raised over £22,000 so far! We would like to thank everyone for their generous donations and support. We couldn’t have done it without you! The Just Giving Page is still live so there is still time to contribute if you would like to. Hester’s drive and passion comes from her selfless desire to help others. Having benefitted herself throughout her school life, of specialist support, Hester hopes that she can ‘pass it on’ by raising funds to help improve the educational life of the children at the school, so they too can hope for a rewarding and successful future. Keep in touch... Join our fundraising mailing list! © Copyright 2014 Ethiopiaid. 3rd Floor, Upper Borough Court, Upper Borough Walls, Bath, BA1 1RG.